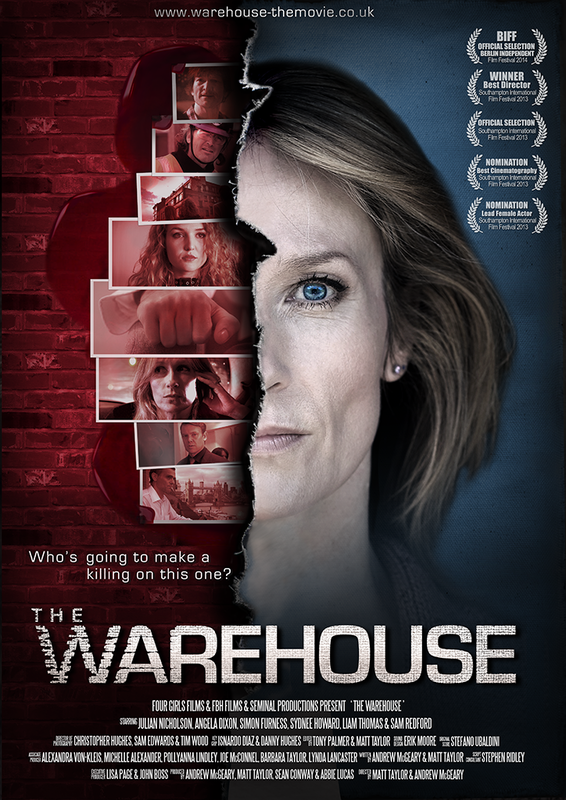 The Warehouse is an exciting dramatic thriller base in London’s edgy east end. Gambler and high-flying property developer Charlie is forced down to earth with a bang after risking it all in a high-risk property development. Virtually bankrupt, Charlie must move his family, wife Sylvia and willful teenage daughter Gemma, into a dilapidated warehouse conversion in the seedier part of London’s edgy east-end. With only a short time to complete the renovation and revive his fortunes, Charlie races against the clock and budget and enlists loyal employee and friend Richard to help manage his project. Despite his best efforts to make amend Sylvia moves out and forces Charlie to seek counselling for a gambling problem does not admit to having, if they are to have any future together. His daughter Gemma stays at her friends but is a frequent visitor to the warehouse. Things start to go wrong at the warehouse when Charlie discovers a sinister and secretive upstairs tenant who seems to come alive at night. All alone in the warehouse all manner of strange and disturbing sounds from upstairs keep Charlie awake on long, lonely nights. When his equipment and renovations are sabotaged, Charlie suspects the mysterious neighbour who ignores all of his attempts at communication. Charlie tries all means fair and foul to rid himself of his nuisance neighbour but his efforts are met by escalating damage to his property and intensifying noise at night. 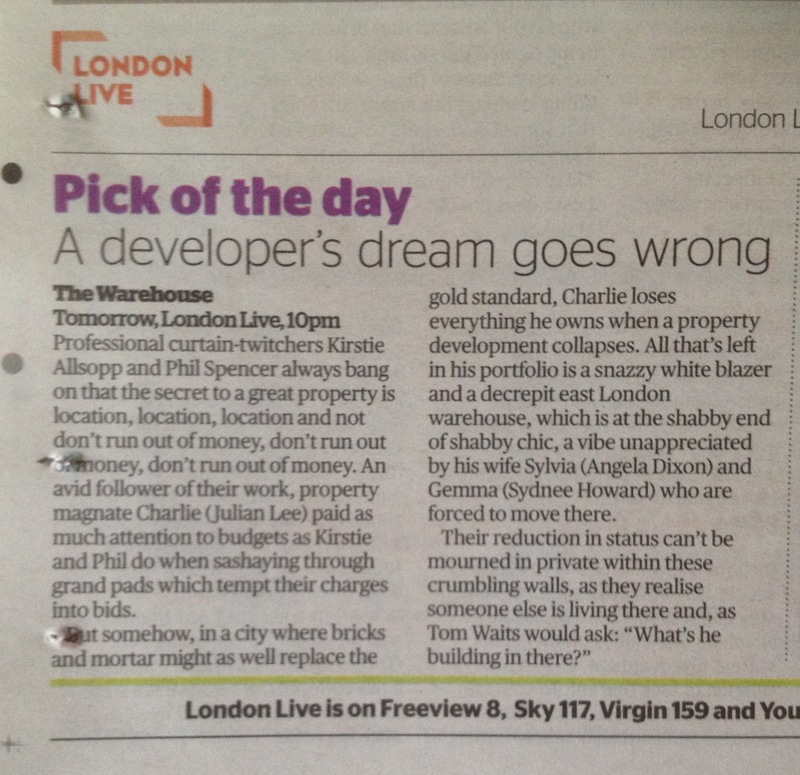 With his finances in desperate shape Charlie is forced to sell his car and is informed by his lawyer that his neighbour has as much rights to live in the warehouse as he. Unbeknownst to Charlie, his daughter Gemma has been secretly visiting the upstairs tenant who is an artist with photosensitivity for whom she has developed a romantic fixation. With the warehouse slipping behind, and his family spread all over town, Charlie gambles all of his remaining funds and must beg long-time family friend and mentor Jack for help or else lose it all. When Sylvia discovers Charles’s gambling Richard confides her and the two have a brief but passionate affair. Charlie uncovers his wife’s betrayal in a crowded art exhibition hosted by Jack, lashing out at his wife and threatening to ‘destroy’ Richard. Back at his warehouse he begins to drink heavily. When noise from the artist disturbs him he storms up to confront him only to discover his daughter Gemma is in the apartment.